Talk about setting a tone. 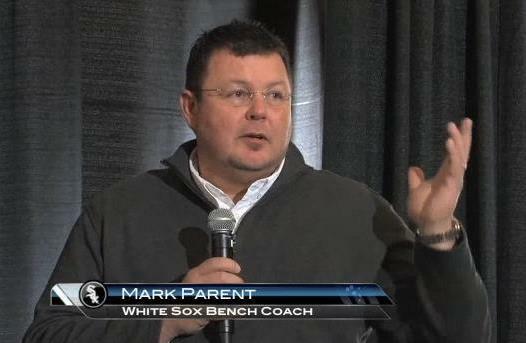 There’s a new order on the south side of Chicago, and one of those taking charge, White Sox bench coach Mark Parent, wasted little time in establishing the team’s tenor this season. “You hit our guy, we’ll hit your guy,” he said in response to a fan’s question at the team’s fan fest on Sunday, according to the Chicago Tribune. Well, okay. Parent was a big league catcher for 13 years and has opinions. And what better way to fire up the base than with an inflammatory statement that also serves to let the opposition know exactly how you operate? Well, you could start with not talking about it at all. Blanket statements like Parent’s—and years’ worth of those by previous White Sox manager Ozzie Guillen—don’t do a lot to stem a practice that’s not particularly popular, even among its practitioners. Go ahead and stand up for a teammate who’s been wronged, but the La Russa Standard—revenge for its own sake, regardless of intent—does few favors for anybody. Baseball retaliation is all about the message. You mess with my guy, you’ll hear from me. Few are those still in the game, however, who think that a hitter clipped by a running fastball late in a close game receives any message beyond the fact that his opponent is trying to win. To seek retribution for that type of situation is as outdated as stirrup socks and double-headers. Few in baseball today have more hands-on experience in this particular matter than Parent’s boss, new White Sox manager Robin Ventura—who, you might recall, had a bit of a Code-based kerfluffle with Nolan Ryan during his playing days, some years back. The first six pages of The Baseball Codes are devoted to the event, which was predicated on Ryan’s propensity for intimidating the White Sox with inside fastballs. That’s rock-solid reasoning. Hell, it’s why he charged Ryan in the first place. 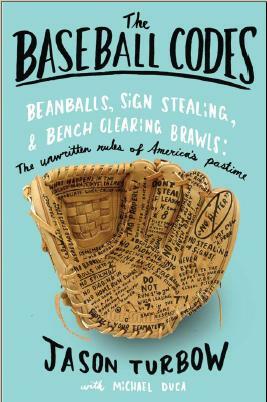 That one phrase—“If we feel it’s necessary”—is the basis for The Baseball Codes. To reduce it to “You hit our guy, we’ll hit your guy,” is a disservice to those who embrace the notion of respect on a baseball diamond, and measure appropriate levels of response should it be less than forthcoming. Ventura seems willing to let his pitchers handle their business on a case-by-case basis, which is exactly how it should be. For the moment, let’s give Parent the benefit of the doubt, and attribute his remark to simple capitulation to populist sentiment in a fan-focused environment. Here’s hoping it doesn’t play out that way on the field. Unfortunately, stirrups and double headers are outdated. I think the game is better with them.